Applications for our Registered Nurse Apprenticeship September 2019 intake are now open. Please select the how to apply tab for further details. Approval of this programme is pending release of the new Registered Nurse Degree Apprentices Standards and approval by the NMC. 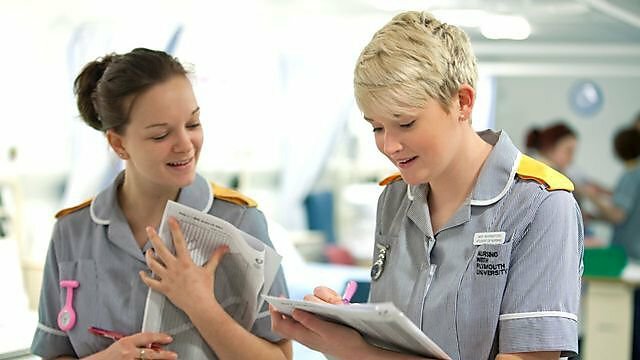 At the University of Plymouth we understand some of the challenges in developing and retaining highly skilled employees and we are excited to be offering the Registered Nurse (Adult Health, Child Health and Mental Health) Degree Apprenticeship pending NMC approval. This degree apprenticeship has been designed to offer a flexible degree level work based learning programme which meets the standards set by the NMC and which aligns Health Care Employers strategic objectives and goals around workforce planning. @ Earn while you learn. Apprentices are employed and receive a full wage while studying. @ A balanced learning experience with a wide and innovative range of teaching and assessment methods both in academic study and in practice. @ Support from qualified staff with an in-depth knowledge of your subject area. @ Distinguish yourself with a degree from one of the first institutions to offer the new Nursing and Midwifery Council (NMC) standards for nursing education. @ No course fees – costs are paid for by the government and your employer. @ The knowledge that your learning is always current and follows best practice, through the internationally renowned research that constantly feeds into our teaching. @ On successful completion of this course you will be eligible to apply for registration with the Nursing and Midwifery Council. 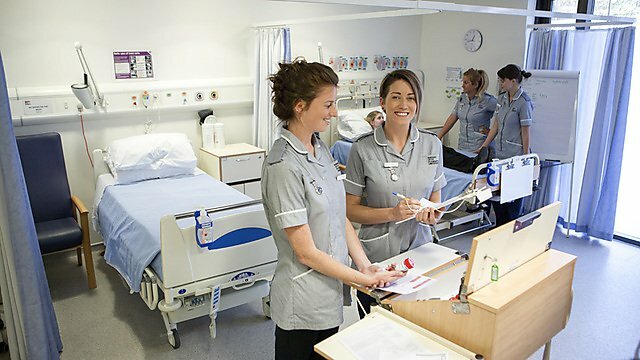 This contemporary flexible nursing degree apprenticeship provides the learner with the opportunity to remain in salaried employment whilst studying for a work integrated degree in adult nursing or mental health nursing registrable with the NMC leading to the title of Registered Nurse. The development and design of this degree was a collaborative partnership following national consultation and local consultation with our stakeholders and employers in the region. It aligns with Healthcare Employers strategic objectives and goals around workforce planning and with the Standards set by the NMC (2010) and Institute for Apprenticeships (2017). The September 2019 programme is pending approval of the NMC based on the new NM standards (2018). Following approval will be delivering this programme via full full time and part time route. Registered Nurse apprentices remain supernumerary for the duration of the programme and are required to complete an End Point Assessment on completion of the programme. On-going support via the University and the employing organisation is available whist studying at the University and whilst in placement. There are no costs to the apprentice, with study fees and salaries being paid by the employer. The Registered Nurse Degree Apprenticeship can be taken full time over three years – this route is suitable for healthcare practitioners new to healthcare. Alternatively, experienced healthcare practitioners (Assistant Practitioners/band four HCSW/Nursing Associates) with relevant healthcare experience and qualifications may be eligible to undertake a shortened degree apprenticeship (see entry requirements). 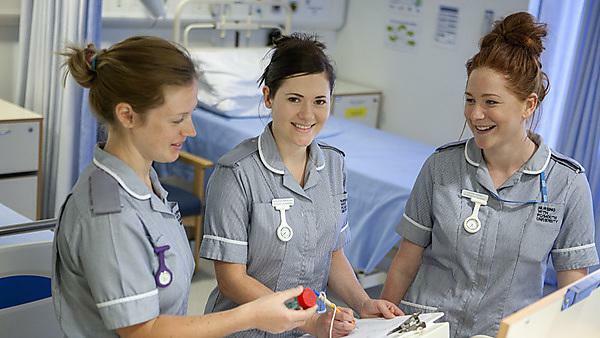 For those who are not eligible for nursing through the degree apprenticeships route, please take a look at our BSc (Hons) Nursing (Adult Health), BSc (Hons) Nursing (Mental Health) and BSc (Hons) Nursing (Child Health) courses as an alternative. On successful completion of this programme you will be eligible to apply for registration with the Nursing and Midwifery Council, therefore you must meet all the assessment requirements as set by the NMC and in addition will be required to complete an End point Assessment. You will have ongoing support of an academic tutor for the duration of the programme as well as receiving the help and support from qualified staff and mentors with an in-depth knowledge of your subject area.